The Album Of The Day is "Latest Version of the Truth " by Mustasch. Now here is a group every fan of heavy music must hear! 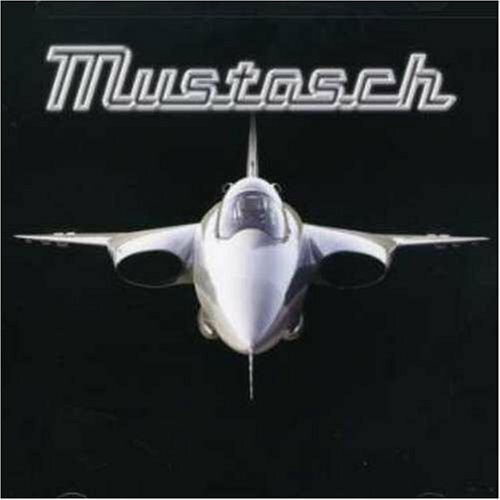 MUSTASCH is a Swedish hard rocking machine that will blow your minds off! It’s unbelievable how much energy this band can transit to the listener! MUSTASCH started in 1997 and they have already released four full-length albums (including the one presented here). Two of them ("Above All" and "Ratsafari") have been nominated for Best Heavy Metal Album at the Swedish Grammy Awards. In addition, the band has toured with Motorhead and Rose Tatoo and they have surely learned a lot from both these legends of heavy music. In this new effort, entitled “Latest version of the truth” the band combines stoner rock with classic hard rock riffing and metallic approach. Having created a sound that mixes up the best elements of groups that have influenced them (such as The Cult, AC/DC, DIO, Iron Maiden), the band has the qualifications to please every fan of the genre. Most of all MUSTASCH can write good songs. Listen to the opener “ In the night” and you will know what I mean! Great riffing, amazing guitar solo work and high class drumming are the basic characteristics not only of this specific song but also of the record as a whole. Other songs that stand out are “Double Nature” (with its strings section), “I Wanna Be Loved” (with its fuzz guitar riff and impressive vocal performance of Ralf Gyllenhammar) and the “The end” which summarizes in a way the whole album.